When Harold Kushner’s three-year-old son was diagnosed with a degenerative disease and that he would only live until his early teens, he was faced with one of life’s most difficult questions: Why, God? Years later, Rabbi Kushner wrote this straightforward, elegant contemplation of the doubts and fears that arise when tragedy strikes. Kushner shares his wisdom as a rabbi, a parent, a reader, and a human being. 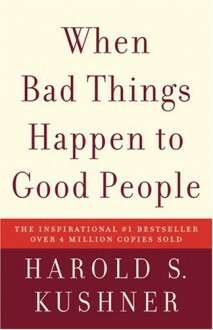 Often imitated but never superseded, When Bad Things Happen to Good People is a classic that offers clear thinking and consolation in times of sorrow.Since its original publication in 1981, When Bad Things Happen to Good People has brought solace and hope to millions of readers and its author has become a nationally known spiritual leader. This book had some good ideas and definitely made me think but I did not like the author's assertion that God CAN'T heal the sick and can only give them strength to endure. One of the best books that I have ever read dealing with grief and loss. It's helped me through some really ugly times in my life and it helped me to understand how a good God can let bad things happen.